Throughout her life, Diana devoted herself to serving others, especially those without a voice. 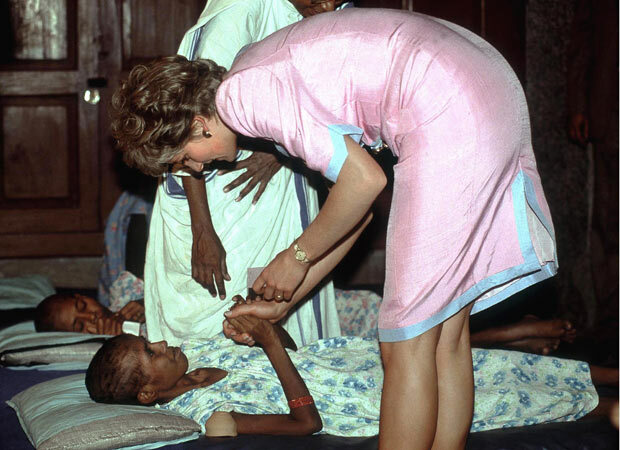 She was President or Patron of over 100 charities as a part of her royal duties, many of which did work on behalf of homeless and disabled people, children, and people with HIV/AIDS. 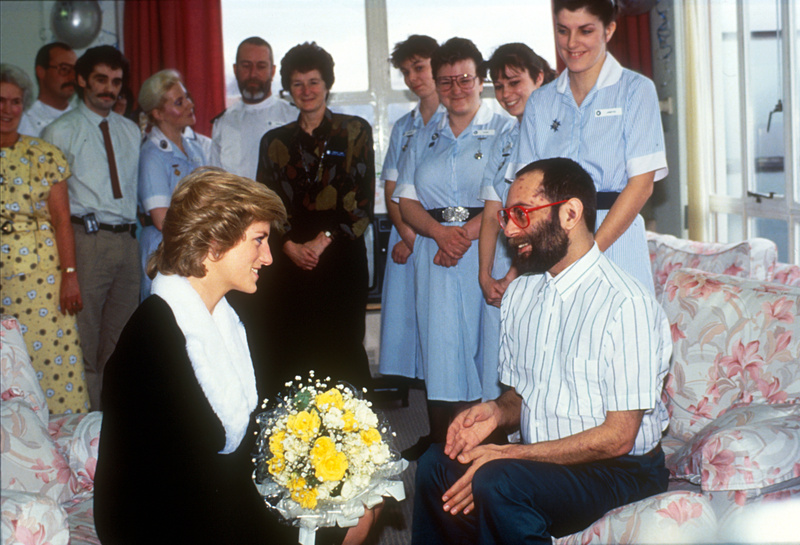 After 1996, Diana continued to work as either Patron or President for Centrepoint, the English National Ballet, Leprosy Mission, the National Aids Trust, Hospital for Sick Children, Great Ormond Street and the Royal Marsden Hospital. 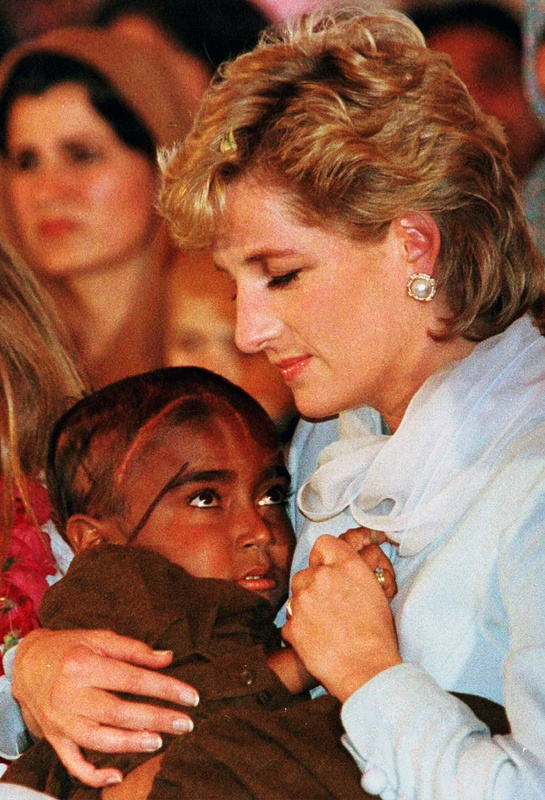 In the year before she died, Diana tirelessly campaigned to ban the manufacture and use of landmines. Diana made many visits to North America, visiting hospices, schools, charities and fundraising galas, and touched the lives of many wherever she went. Other major overseas visits included Angola, Australia, Bosnia, Egypt, India, Pakistan, and many European countries. The Princess spoke out on a wide range of issues and used her high profile to raise awareness as well as funds for charitable causes. She is rightly recognised and respected today as a true humanitarian.